Carey Price was sombre but grateful for the outpouring of support during his record setting game on Tuesday. While the game ended in an overtime loss to Winnipeg, Price passed Hall of Fame goaltender Jacques Plante for most games played in Canadiens franchise history, with 557. The Vezina and Hart Trophy winner has been having an uncharacteristically poor season, compiling a 16-25-7 record, with a career-worst goals against average and save percentage. But his current struggles meant nothing to fans when a tribute to Price’s record-setting career with the Canadiens was shown on the big screen during the first period. Fans at the Bell Centre put the frustration of this season aside, rising to their feet for a standing ovation. 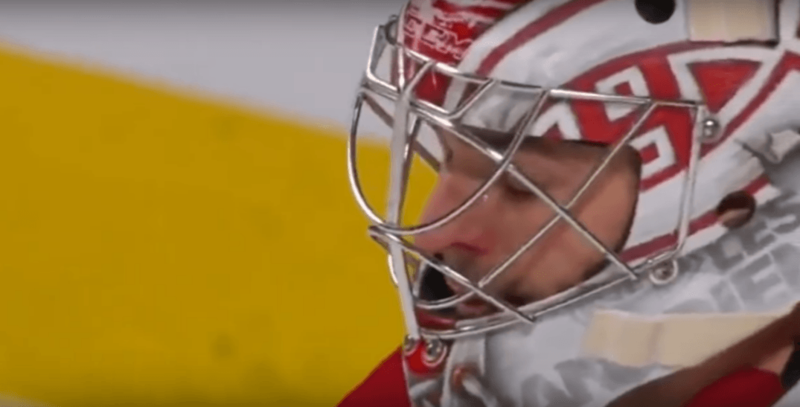 The video and standing ovation that followed brought tears to the netminder’s eyes and after the game ended he couldn’t help but return the gratitude to the fans that showed support. Carey Price said tonight’s video tribute touched him in an unexpected way. Said he had tears in his eyes. Said he needed that. After all the other Montreal players had left the ice, Price was still out there returning the appreciation by signing autographs for the fans. Appearing in the tribute video to congratulate him on his record were Hall of Fame goaltenders Patrick Roy and Ken Dryden, both of whom sit third and and fourth respectively in goalie games played for the Canadiens. “I’ve had the pleasure of meeting both of those guys and that means a lot to me that they took the time to send me a message like that,” said Price. There will be plenty of time for Price to bounce back from his poor season and add more games to his franchise record in the coming years, having just signed an eight-year contract extension that will see the 30-year-old play for the Canadiens until 2026.